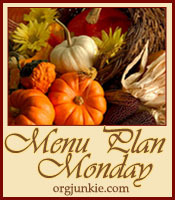 What’s your menu for Thanksgiving Day? Ours is one that does not require hours and hours in the kitchen. I want to have time to visit with relatives and do some fun things. So fixing a boneless turkey breast in our slow cooker is perfect. I’ve shared this recipe before, but here it is again for those who are interested. This recipe has been my most viewed post the past couple of months. If you need a delicious, easy recipe, this one is great! This entry was posted in Menu Plan Monday and tagged crock pot boneless turkey breast, slow cooker boneless turkey breast by Charla. Bookmark the permalink. Thanks so much for re-sharing your Slow Cooker Boneless Turkey Breast recipe.